Designed to be easy to navigate and using before and after photography to highlight previous work, this site was built using WordPress. The neutral colours highlight the photographs and named testimonials add to the professional feel of this site. Optimised for search engines, the site is highly visible to potential customers. evince are specialists in delivering high quality and highly search engine optimised websites. For more examples of websites like this see the evince web design & web development portfolio or contact us for more information via the contact form or call +44 (0) 1483 361 151. 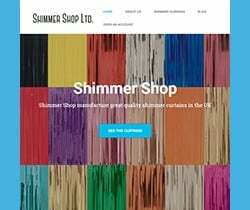 Would You Like a Website Like this one? Fill Out This Form & We’ll Get Straight Back to You. Very pleased with my website I would highly recommended! Dan has been of great help to us. Very knowledgeable and always happy to help!